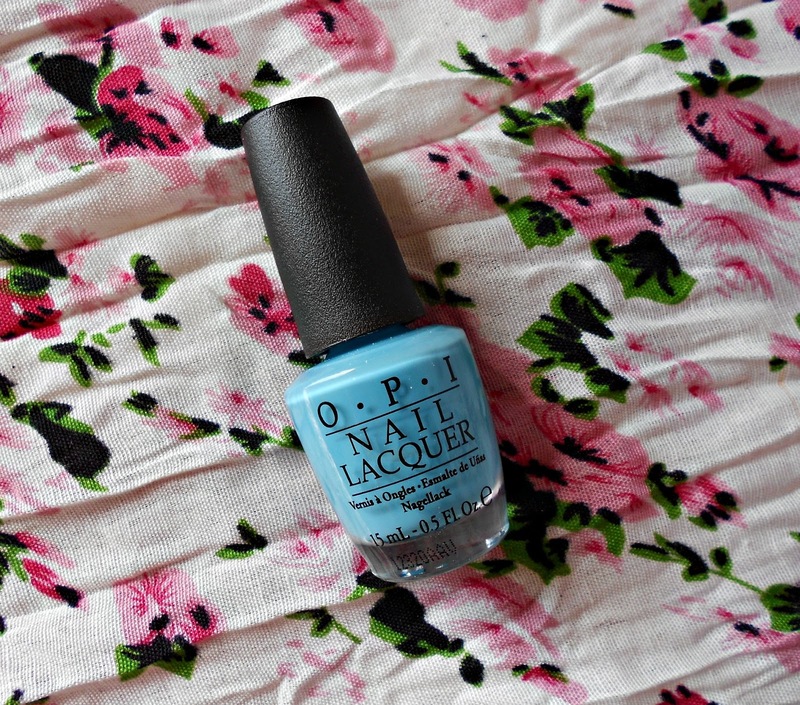 Some of you might already know how OPI is my favourite nail polish brand. It never fails to deliver. Unless they are jelly colours, OPI polishes are normally really opaque and so 2 coats of polish is enough to achieve a uniform finish. Plus, I really, really love their names! My latest buy is from the Euro Central collection, and it is called 'Can't Find My Czechbook'. It is a pale / dusty / sky blue which will be perfect for the coming months. You do need to be careful when applying this because it does have a habit of streaking. As usual, I can't really talk about drying time / longevity because I have gel nails on, so polish rarely chips on me, plus I use the Essence quick drying drops because I hate waiting for polish to dry. Do you own any OPI polishes?